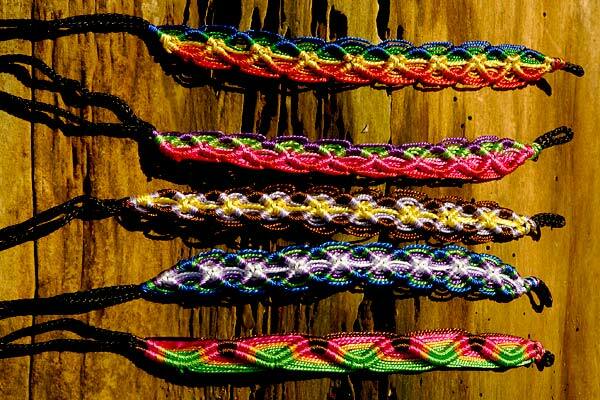 Lots of different multicoloured friendship bracelets from Peru. Hand made colourful woven bracelets, different styles. Suitable for kids and adults of all ages (+ 36 months). Show a friend they're special!